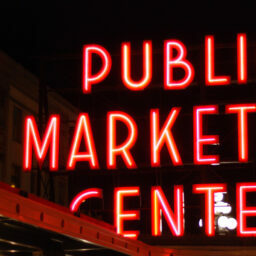 Leave it to Seattle to make you think, “Why haven’t I tried that yet?” The city’s cuisine showcases incredible flavors the rest of the US isn’t acquainted with. At the same time, it has an unparalleled ability to take the foods you thought you knew and twist them in new-yet-somehow-obvious ways. Once you taste them, you’ll be surprised they don’t exist everywhere. Pronounced “gooey duck,” it is neither gooey, nor a duck, but is instead up to three feet and several pounds of one giant clam. They’re common in the beaches around the Pacific Northwest, are the biggest burrowing clams in the world, live up to 140 years, and are a classic local delicacy. When cooked, they taste like regular clams and pair well with garlic and butter — but the real way to experience geoduck is raw as sashimi (when its taste is a little closer to calamari). Geoduck hits restaurants with greater frequency when it’s in season (spring and summer), but it’s available year-round in its frozen form. 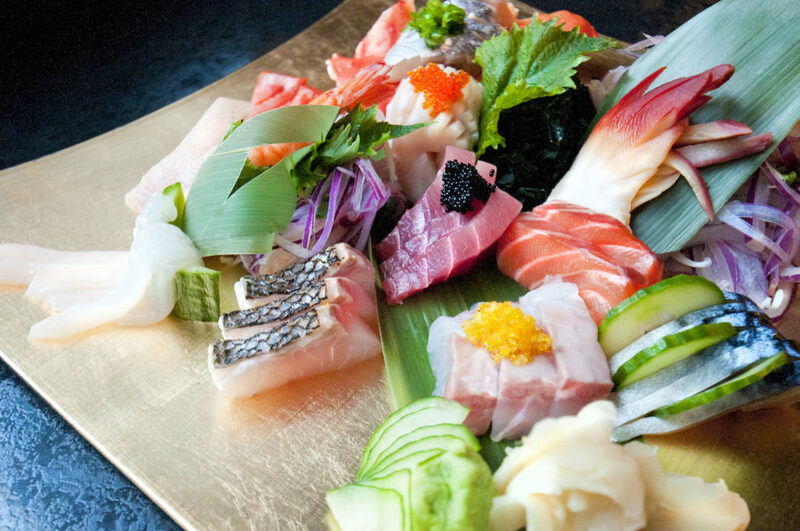 You can usually find it at The Walrus & The Carpenter in Ballard; Taylor Shellfish in Queen Anne, Pioneer Square, or Capitol Hill; and Shiro’s Sushi in Belltown. When you come to Seattle, there’ll be a long list of things that will make you want to move here permanently — especially if you have a sweet tooth. The city’s indulgent side shines through in local ice cream spots like Molly Moon’s, with scoops so good you’ll find scarf-and-mitten-clad locals standing in line for them in the dead of winter. 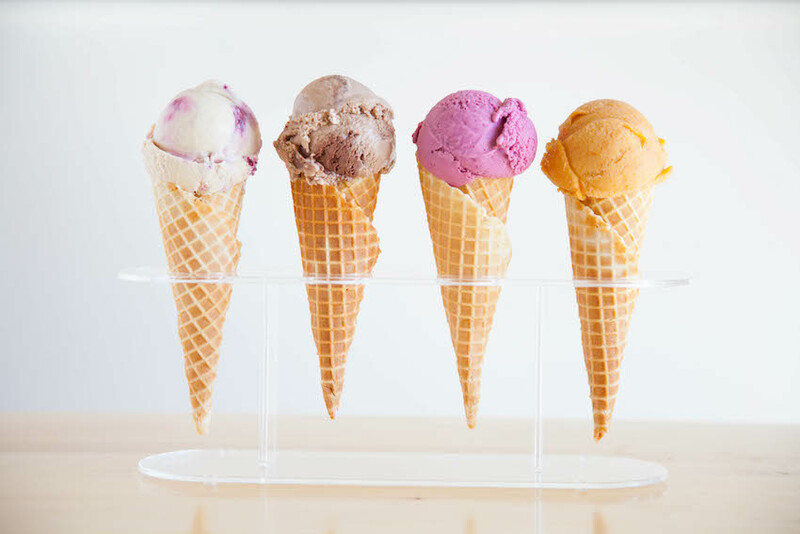 They have the standard flavors like chocolate and strawberry, but they’ve also perfected a long list of unique creations — try the earl grey tea, honey lavender, black sesame, Thai tea, or cherry-goat-cheese. Parfait, run by Adria Shimada, is all about handmade ice cream — no dairy mixes and all local ingredients. Her menu is surprisingly extensive and seasonal, and includes treats like ice cream macarons. If custard or sorbet is more your jam, your best bet is Old School. Need more ideas? The roll call goes on: Bluebird, Full Tilt, MM’s… If hitting all these spots separately sounds like too much work, cross your fingers that 2016’s first annual Seattle Ice Cream Festival goes down next year as well. 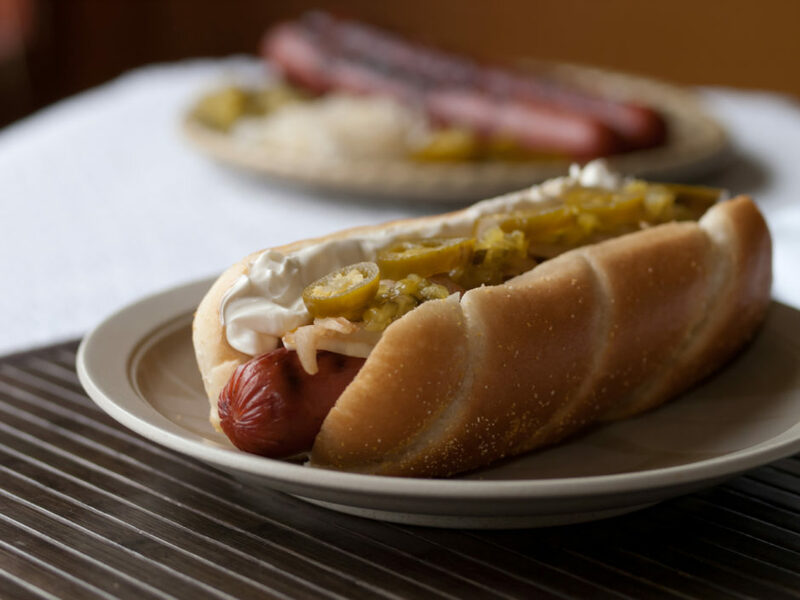 When you ask a local what the quintessential “Seattle” flavor is, they’ll point you to the cream cheese hot dog. Most Seattle establishments that serve hot dogs offer this option, but it’s the food trucks around downtown like Monster Dogs you want to look for to get the best hot-dog-with-a-twist experience (2nd and Pike is the food truck epicenter). The mix of hot and cold, rich meat and mild cream, the blend of textures — once you try one, it’ll seem like the most logical food combo ever dreamed up. And if you can score some hot-dog-cream-cheese-goodness topped with a bit of smoked salmon as well, then you’ve really struck gold. 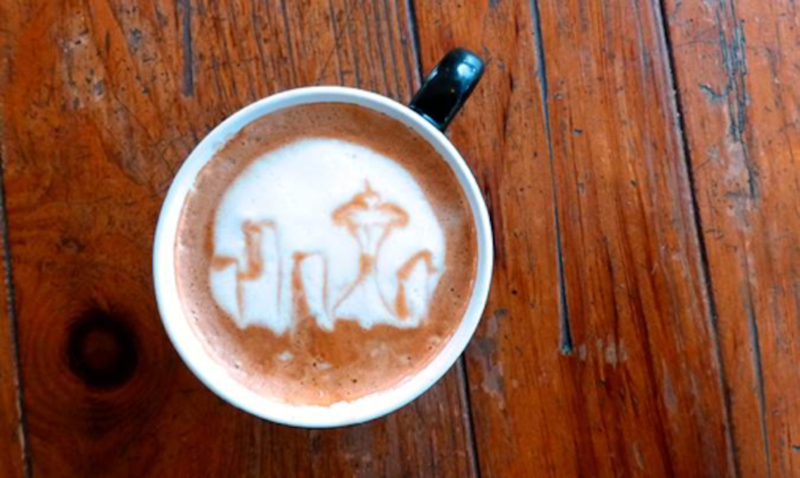 Seattle is full of small, local roasters — mostly because a good cup of java is what really gets us fired up. If all you’ve been drinking is whatever comes out of your Keurig, you’ll want to try some of Seattle’s “real” coffee, just to experience the full spectrum. For a flavor that’s as far as possible from what you’re used to experiencing, try Fonté. They have 20 years of roasting experience, and now have a café just down the street from Pike Place Market (where you can also buy a bag of beans to take home with you). The flavor is incredibly smooth and mild, with almost floral undertones. For a Seattle coffeeshop experience that balances funky vibes with great brews, try El Diablo in Queen Anne — it has bold, artsy Cuban coffee and food, outdoor patios, and a selection of Washington wine and beer available as well. All of Washington’s pristine natural beauty isn’t just for looks — our rivers and oceans are healthy and wildly nutrient-rich. For you, this means the stuff coming out of that water is cry-yourself-into-a-food-coma delicious. Comparing the fish here to fish elsewhere (even fresh) is like comparing butter and margarine. 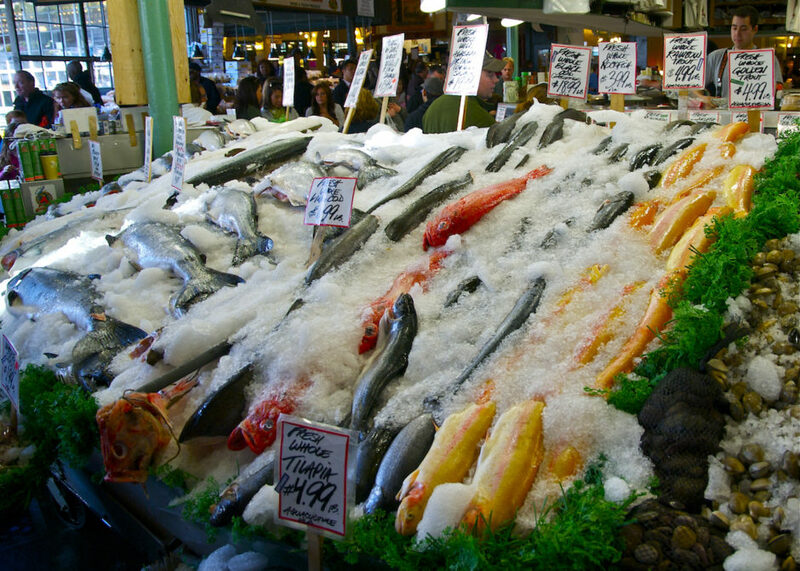 We’re famous for our salmon, which you can buy from Pike Place Market (and stay for the fish show) or from other, less well-known places like Mutual Fish Co (Rainier Ave S) or Pure Food Fish Market (in Pike Place). Salmon pairs well with garlic and lemon, but it’s best to let it speak for itself, preferably raw. Rachel’s Ginger Beer is as integral to Seattle as the salty sea air and being ever-passionate about our sports teams. You can get it from the source (at their 12th Ave location, or at Pike Place Market), and you’ll often find it in stores or worked into the recipes of local restaurants (Molly Moon’s uses it in some of their ice cream!). 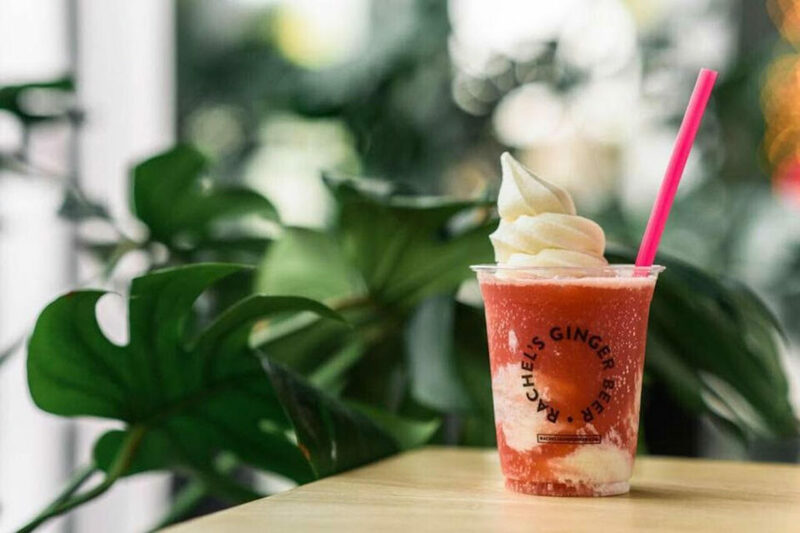 Though it isn’t a ginger beer in the traditional sense (you don’t have to be of age to drink it), Rachel’s is a solid cupful of flavor that can’t be missed. And don’t expect the only aspect of that flavor to be ginger. You’ll find combos like blood orange, cucumber-tarragon, and caramelized pineapple. It’s especially enjoyable on a hot summer day, while you watch the ferries pass back and forth over Elliott Bay from nearby Victor Steinbrueck Park. How is cherry a bold flavor? Try one and you’ll understand. Named for our neighboring active-yet-dormant volcano, these beautiful little pink and yellow fruits have a taste that’s wholly different from any cherry you’ve ever had. Imagine this: A super sweet strawberry and a black cherry get really drunk on champagne and make a baby. That is a Rainier cherry. Find some at Pike Place Market or any grocery store when they’re in season and eat them straight from the bag (or pair with Rachel’s Ginger Beer). Seattle’s population of Asian immigrants — 14% of Seattleites have Asian heritage — and a tendency towards cultural blending means a perfect storm of Asian-fusion cuisine all over the city, the most common being Japanese- and Korean-based mashups. Hit up the food truck Tokyo Dog for a kimchi hot dog, or head to the Mexican-Japanese fusion temple that is Japonessa, where you’ll find tempura-fried brie with raspberry-soy-sauce jam. They even have a roll called The Matador, with “yellowtail, cilantro, and cream cheese, topped with spiced filet mignon, and drizzled with jalapeño garlic la-yu sauce.” Check them out during their generous happy hour for some of the best sushi in the city at prices that will help you justify just one more of their amazing cocktails. And don’t forget Marination, a food truck gone brick and mortar, where Hawaiian meets Korean, and the kimchi fried rice (get it with an egg on top) is justifiably famous. 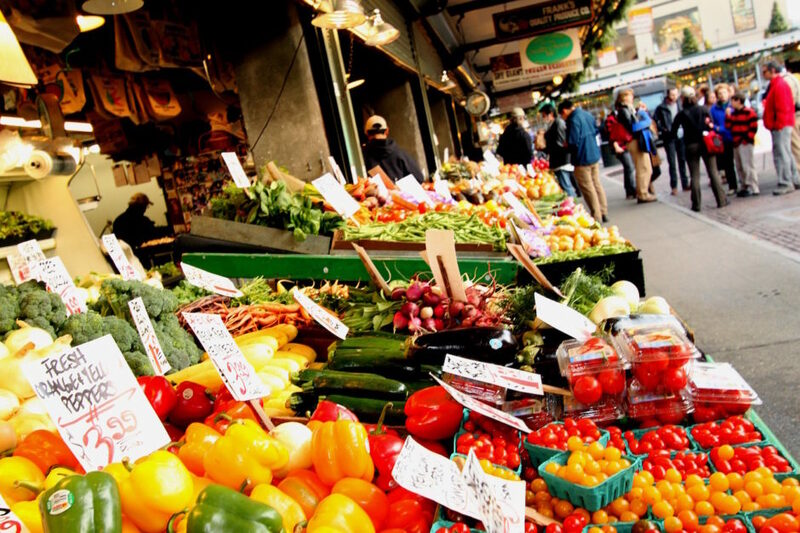 This is the best way to describe the real theme of Seattle cuisine — the food culture here is all about grabbing what’s fresh and on hand, which means a huge emphasis on organic, local, and seasonal ingredients. Many restaurants in the region make an effort to some degree, so it’s not hard to find. 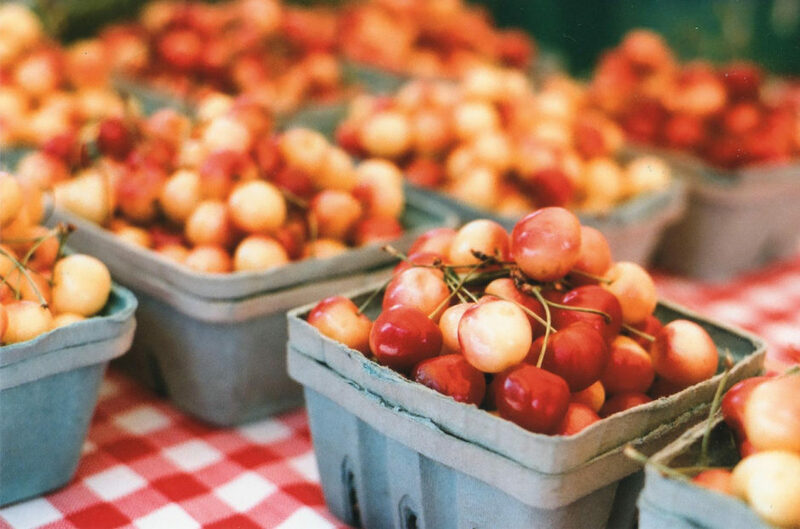 Washington is home to a lot of unique farmland, so keep an eye out for ingredients you won’t see very often elsewhere, like gooseberries, currant, and Walla Walla onions. You can even take part yourself: Come at the right time of year and you’ll find tons of pick-your-own berry farms (think raspberries, strawberries, and blackberries) all over the area. You get food so fresh in and around Seattle, sometimes it doesn’t even make it onto a plate. Rachel’s Ginger Beer for President:-) A platform we can all get behind.